On on Monday 8th January 2018 I attended my first OV as the new DGP at Godalming Council No 185. I was supported by eleven active officers of the year, two of whom were members of the Council, and the meeting was a great success. The WM, W Bro Michael Town, undertook two ceremonies: Hugh Johnstone for the Grand Tilers of Solomon and Ross Clark being installed as the new WM. Both ceremonies were superb and I`m sure very much appreciated by both recipients. The latest candidate for Godalming Council looks a bit grizzly! 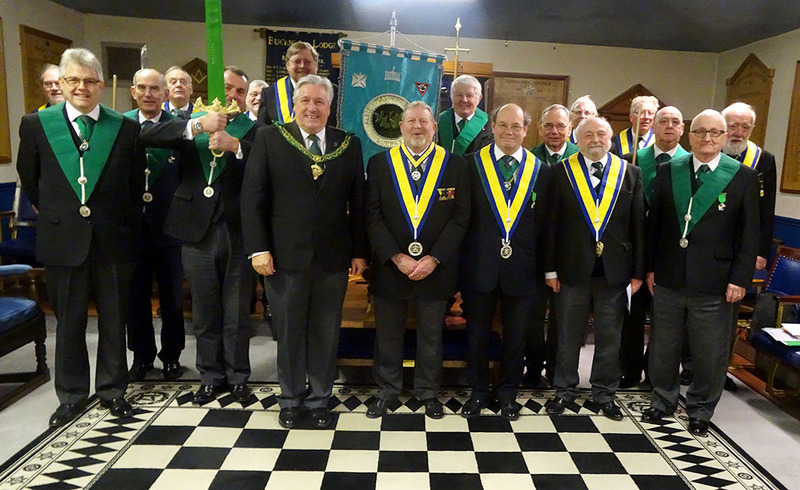 The festive board followed on in the same vein as the meeting itself and was most enjoyable. 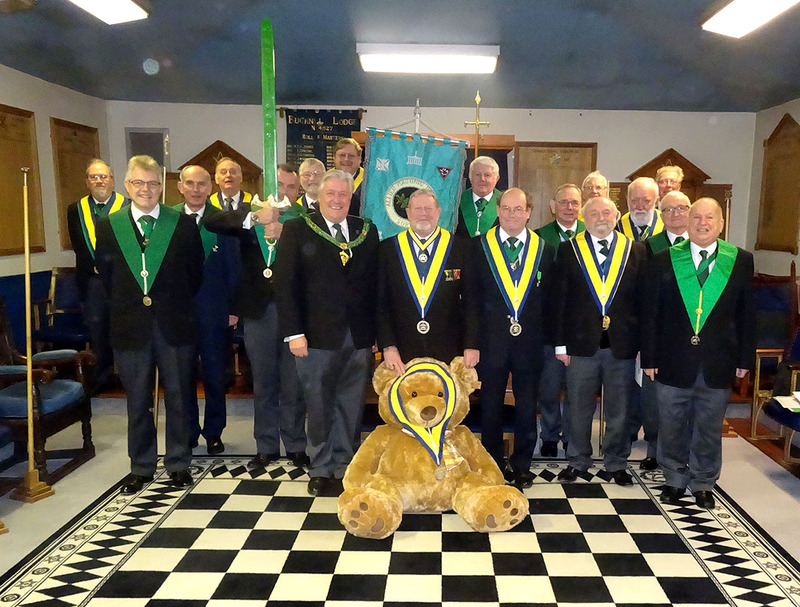 The WM and brethren took on board my encouragement for them to find some new candidates and were confident that at least one new member would be forthcoming!